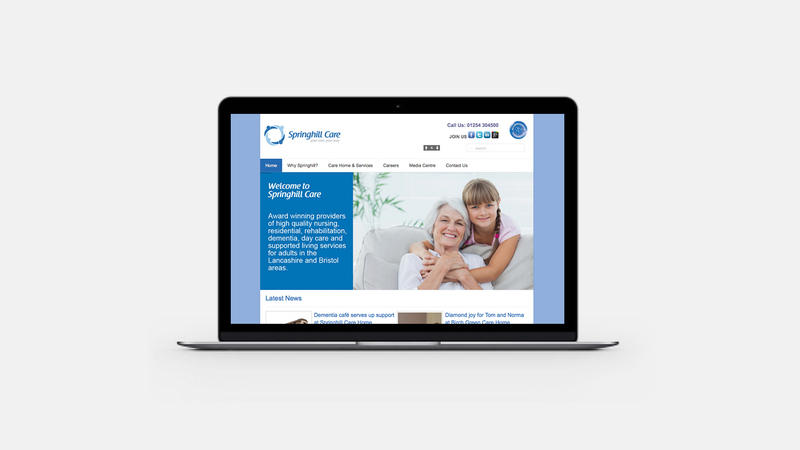 Springhill Care Group is a private social care provider based in Accrington. 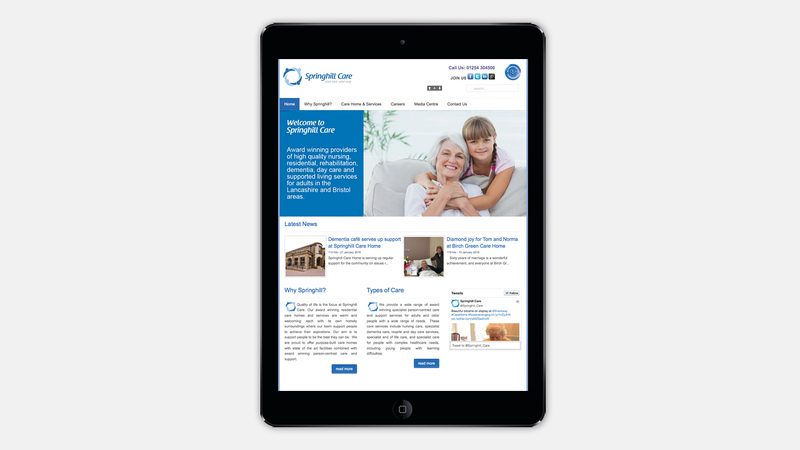 There have 3 residential care homes, located in Accrington, Skelmersdale and Bristol. 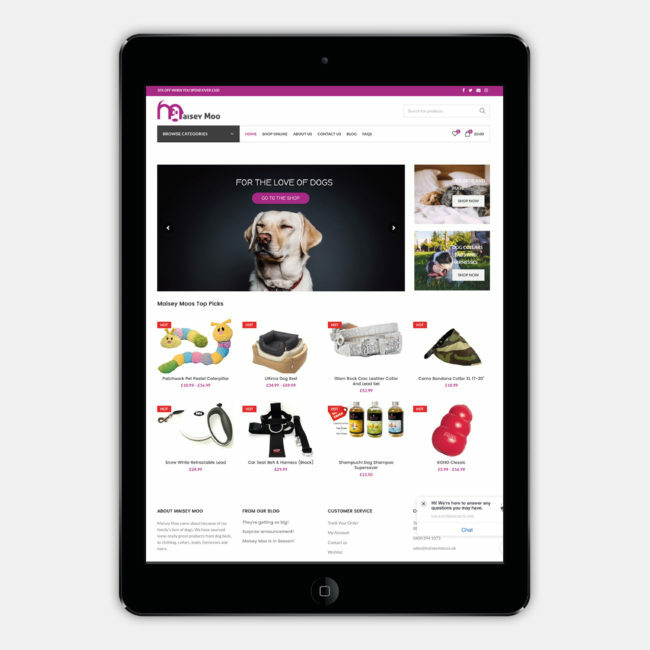 In 2012, they approached us to provide new websites; a group website, a website for each of the homes, and a website for the support service. 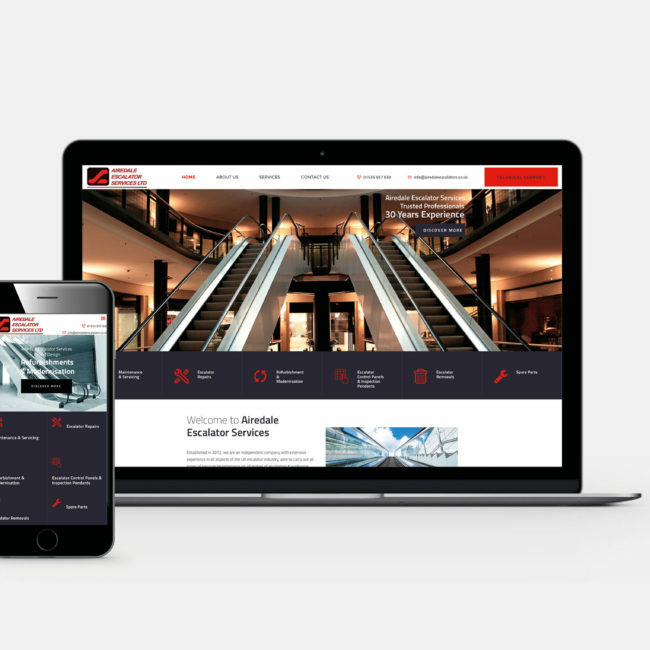 Following the companies branding guidelines, and ensuring each one featured acessibility functions, we created 5 websites that met all the requirements, and have since upgraded them to be responsive for mobile.